The last thing many people would expect from their bank is help with landing a job and then help with getting back on track with their finances, but that’s exactly the commitment Fifth Third Bank is making for its bank customers. It’s an incredible leap of faith and for the bank, the commitment to those customers is pretty amazing. First up, the bank signed a multi year contract with NextJob, a nationwide re-employment company that helps the jobless with “re-employment assistance”. That might include one-on-one dedicated coaching, weekly webinars and online job search software. And it’s fully paid for by Fifth Third Bank and available to the bank’s mortgage borrowers. said NextJob’s CEO John Courtney in a press release this week. He reiterated both his company’s and the bank’s commitment during the announcement of a new multi year contract. This program is a simple but big idea and it’s time has come for the banking industry. The program pilot began last year and was initially for those nearly foreclosure The statistics for the program so far include most an average 22 month unemployment period, of which 40% were employed in full time positions within six months of starting the program. As a result of the success, the program was extended into 2013. It began as a test pilot and has become a multi year contract. Up to half of mortgage delinquencies are due to job loss. With NextJob, we immediately recognized an opportunity to go the extra mile to assist our customers. This is specific, one-on-one training that helps people identify their transferable skills and re-gain the financial stability of a new job. The program highlights three areas that provide a seamless effort to secure employment. There’s the one on one job coaching, a software program that helps with the job search and then a weekly webinar, titled “Job Talk”. Fifth Third Bank is also a partner with and participating in the 7th annual “America Saves Week”. This national effort is designed to help consumers put into place strong money management skills and an ability to kick into action when necessary. In order to move this process along, the bank has brought its mobile financial classroom to the Chicago. For the next5 week weeks, one on one counseling will be made available to bank customers and will cover areas such as ways to pay down credit card debt, setting financial goals and working to build savings. America Saves is an initiative of the Consumer Federation of America and includes more than 1,000 non-profit, government, and corporate groups. Their goal is to encourage American consumers and their families to save money while building their own personal wealth. The partnership is committed to helping customers create strong resumes and cover letters developing and carrying out job searches that yield results, evaluating career directions, identifying skills, discovering open jobs that aren’t traditionally advertised and a host of other skills. In the process, the effort will ideally lower the number of foreclosures and ensure credit card payments, student loan payments and other financial obligations are met or put back on track. Not only that, but bank representatives say their efforts are “spanning multiple generations”. This is accomplished by streamlining different methods for people at every stage of their lives. Younger consumers have usually just begun with their mortgages while older consumers are likely nearing the final years of the life of their home loans. And Fifth Third says it’s good business. After weighing the benefits, it became clear the financial considerations panned out. The bank figures the job-search program costs $1,500 per person Mirrored to the $40,000 to $60,000 that a bank loses anytime a foreclosure occurs, it makes better fiscal sense. We came out well ahead. These people are back to meaningful employment, and the family is staying in the house. The fact is, there are many mortgage relief programs available. Unfortunately, there are many that are both deceptive and illegal. Consumers being able to identify the best ones can be difficult. 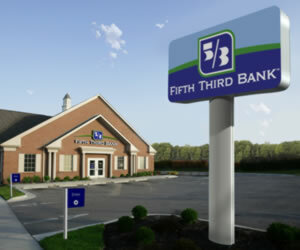 With Fifth Third offering its own version, consumers are assured of both an ethical and legal solution. For those who are struggling, the sixteen weeks of online assistance is a blessing. They must be at least two consecutive payments behind and it must be due to unemployment. But Fifth Third isn’t the only bank that’s reaching out to its customers. Local banks around the country are helping customers deal with paychecks that have shrunk since the first of the year due to new tax laws. The increase in Social Security taxes means an additional $50 a month out of paychecks for those earning $30,000 a year and $100 a month for those making $60,000. That, coupled with rising gas prices, has millions in a panic. said Tara Madden, a Wells Fargo bank store manager in Pascagoula, Mississippi. That’s folks’ power bills and phone bills. In order to help those bank consumers, the bank branch provides information to make the most of online tools that help them find lower gas and food prices. Money Map that shows exactly how a customer is spending by category, whether it’s $6 for a coffee or dinner on the go. The employees also offer opportunities to meet with the bank’s financial advisers at no cost. The services are confidential, too. Madden also explained how she saved a customer $150 a month with lower auto insurance premiums offered through Wells Fargo. Another option is debt consolidation to pay off high interest credit cards, which Madden said saved customers $150-$200 a month. She also encourages Wells Fargo customers with good credit scores to consider refinancing their auto loans and mortgages, which she said are still at near historic lows. Finally, Madden reminds customers, and certainly those with credit difficulties, to request a free credit report once a year, review it with a financial advisor, correct errors and learn how to raise the score. Meanwhile, Regions Bank is putting its own measures in place with its new online tool, My GreenInsights. This provides assistance for customers wishing to create budgets, follow their cash flows, watch their savings grow and set financial goals. It’s an interactive program that allows people to set up payment alerts for their credit card payments, mortgages and other financial obligations. Also available are the “Financial Fitness Fridays” once a month that allows Region customers the opportunity to meet with their branch managers to better assess their financial health. Customers receive advice and tips on how to improve their financial outlook. So is this the new face of community banking? It could be. One thing’s for sure – consumers have been through two transitions: they have options like never before and they’re facing increasing financial difficulties from a lot of directions. They’re reaching out to those they trust most when it comes to their finances. If their banks can’t meet the challenges, those consumers are willing to consider those other options.